إذا كنت تبحث عن فندق بموقع جيد في كيمبسي، فقد وجدت ضالتك في Parkdrive Motel . يمكن من هنا للضيوف الاستمتاع بسهولة الوصول إلى كل ما تقدمه هذه المدينة النابضة بالحياة. يضفي محيط الفندق اللطيف وقربه من ‪Rudder Park Historical Lookout‬, ‪Dunghutti-Ngaku Aboriginal Art Gallery‬, ‪Macley River Historical Museum‬ سحراً خاصاً على هذا الفندق. إن الخدمات الممتازة وحسن الضيافة العالي في Parkdrive Motel تجعل إقامتك تجربة لا تنسى. لضمان راحة ضيوفه، يقدم الفندق الخدمات التالية: مكتب الاستقبال على مدار الساعة, مرافق مخصصة لذوي الاحتياجات الخاصة, تسجيل وصول/خروج سريع, تخزين الأمتعة, صف السيارات . يمكن للنزلاء الاختيار من ضمن مجموعة من الغرف المصممة بعناية لتعكس جواً من الراحة، والتي يتجاوز عددها 22. يمكنك الاستمتاع بالأجواء المريحة التي تقدمها حمام سباحة خارجي, صيد السمك, حديقة طوال النهار. اكتشف مزيجاً ساحراً من الخدمة الاحترافية والخيارات الواسعة من وسائل الراحة والمتعة في Parkdrive Motel. 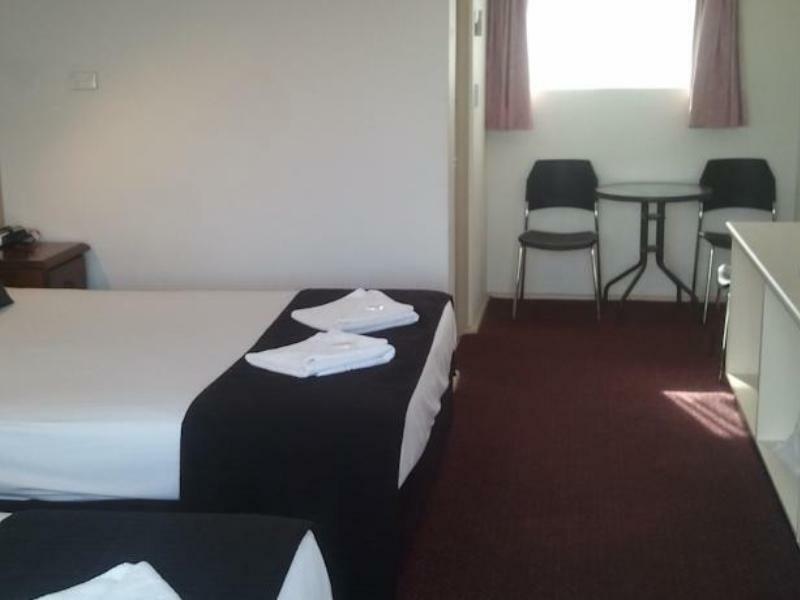 Room was really nice, comfortable for family of 6 & very clean. Motel advertised free WiFi but the free part was only minimal- at most 5 mins and it didn't work very well. Having four kids and staying 3 nights with gadget's WiFi is important and we would have stayed somewhere else if we knew WiFi was crap! Also Telstra has poor reception there! Sorry as motel/ managers were nice and kids loved pool. The pool is good with clean water. Place is clean and tiny. Enjoyable to have meals outside the rooms on the patio. BBQ stove right next to the pool and saw family using it. Compact and very clean. Just what we wanted for an overnight stay. Very friendly staff. The pool was heavenly after a long hot drive. Terrific for an overnight stay, quiet, clean and everything we required, excellent disabled facilities. Although the room was small everything was very clean. The TV was large. The staff were extremely friendly and obliging. The pool was spàrkling clean. Great motel. 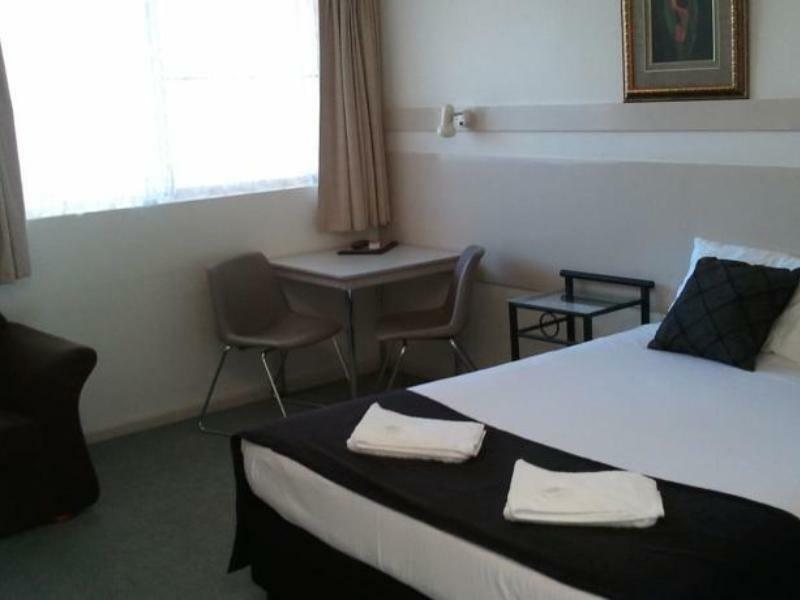 Room was clean and comfortable, friendly staff, parking was outside the door and away from the road. Free wifi was a bonus! Friendly service with good smile. Meet my expectation for a good night stay with young children.